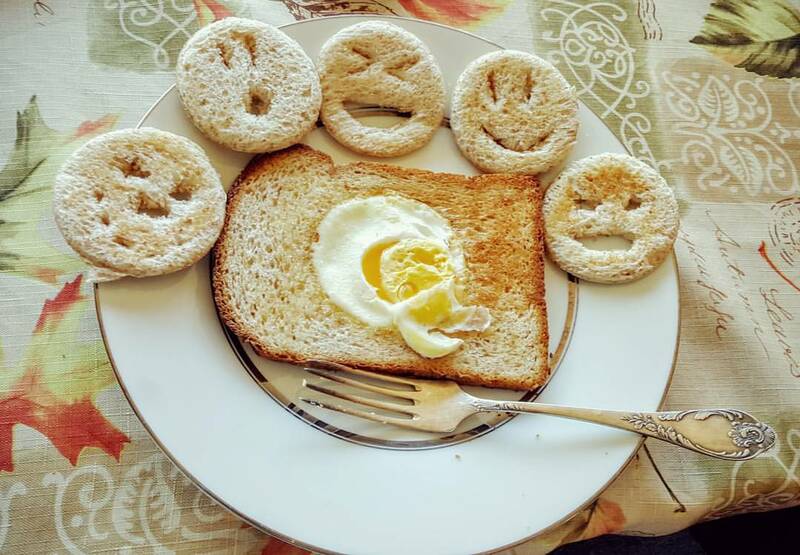 I was making "egg-in-the-hole" bread for breakfast and had all these round pieces of bread lying around. Z decided that she would make emojis and this is what we got... So cute, right? So cute! Hope you're enjoying your trip! Very clever way to serve breakfast! They made me smile. I have never made egg in a hole, but I know I would like it! Those emojis are darling. Haahaa, what a terrific idea. I might have to tuck this away for when I have little people in my life again.